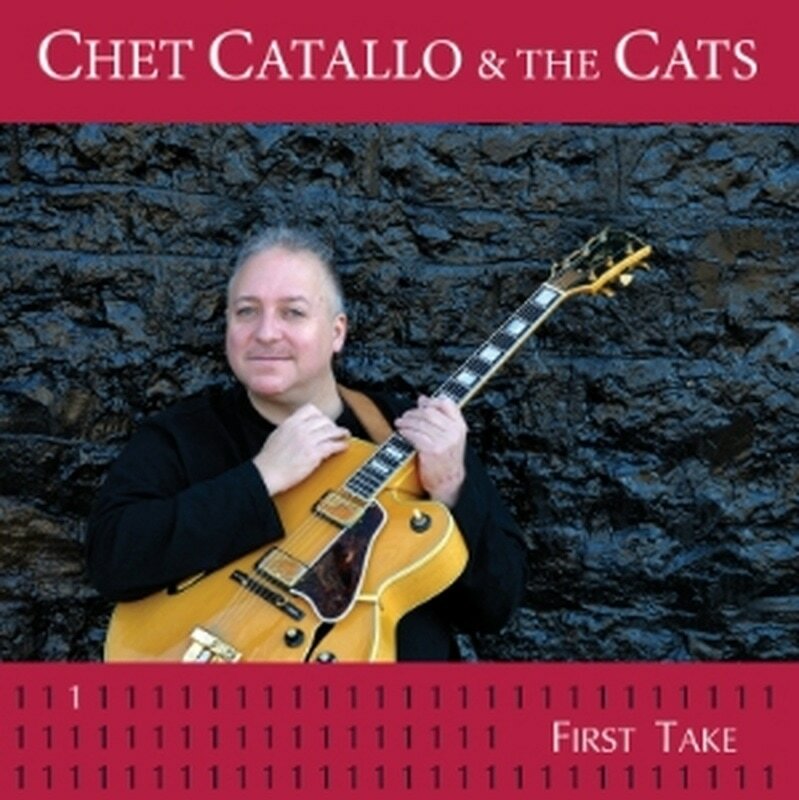 Store - Chet Catallo Productions, Inc.
Autographed copy of Chet Catallo & the Cats - Double CD 'First Take'. Full Double CD recorded live in the studio. Each CD purchased will be autographed by Chet Catallo. Price includes shipping and handling. This DVD is a collection of Chet's short guitar examples. It includes several chord progressions and ideas for soloing over chords. There are several examples of Chet explaining how to play his most popular songs. Chet is available for private and semi-private lessons. The House of Guitars, The Bop Shop, The Record Archive, Barnes & Noble at Pittsford Plaza, and Northfield Music. CHET CATALLO & THE CATS: FIRST TAKE. Chet Catallo at Water Street Music Hall on Sunday December 26th, 2010. Photo by Frank De Blase. A very special Thank You from Chet to Frank De Blase and CITY Newspaper. A wheelchair-bound Chet Catallo rolled triumphantly onto the stage at Water Street Music Hall Sunday, the night after Christmas, well on his way to recovery. Despite the severity of his condition (complications from spinal surgery), Catallo was in a great mood as he greeted the enthusiastic crowd. The gals in the new dance ensemble The Roc City Diamonds piqued some pre-show interest with a tasty “Sweet Charity” send-up and some bodacious booty shaking for the man of the hour. Referring to his playing as the best therapy, Catallo launched into a spirited set with “It Doesn’t Matter,” a cut he penned off of Spyro Gyra’s 1979 “Morning Dance,” before digging deep into his new “First Take” LP. The band’s set grooved with a focused funk. Often bands will dig a groove so deep it induces whiplash and you can’t see over the edge — the funk plays them. Not Catallo; he and the boys showed the funk who’s boss. was long — gave Catallo a solid backing, and the freedom to run and swing as this righteous cat learns to walk again.